The SRPM room pressure monitor is designed for critical care low differential pressure applications that require stringent pressure monitoring and alarming. True differential pressure is measured and displayed with a resolution of 0.0001″W.C. 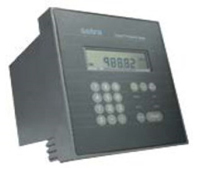 The SRPM is a complete system that includes a convenient backlit RGB LCD display with an intuitive graphic user interface for pressure, security, calibration, and alarm setup. Monitor 2 rooms (4 parameters each) with 1 device. The SRCM provides a high resolution, flush mount touch screen user interface for easy setup & maintenance, while fitting into a standard electrical box for easy installation. 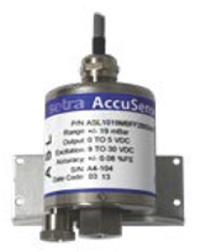 The SRCM offers best in class low-differential pressure sensing technology for stability and accuracy. The MRMS is designed to monitor up to 8 rooms (using the SRPM or SRCM) from a central location. 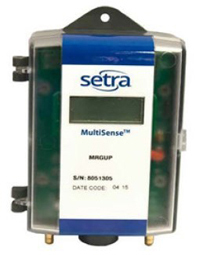 The MRMS is BACnet enabled with Auto-Discover to automatically search & connect to Setra devices. Built-in configurable audible & visual alarms alert users to changes in room status or condition. 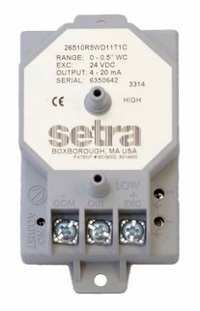 The Setra Power Patrol is every electrical contractor’s dream. The networked 3-phase power meter works with Rogowski Coils and has a small enough form factor to be mounted inside or outside of the panel using either mounting tabs or the DIN rail clip making it the easiest installation in the industry. 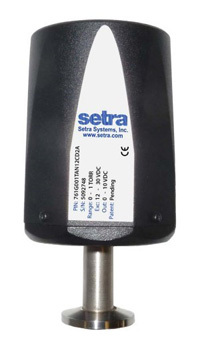 Designed for Critical Environments, The Setra Model MRC is Setra’s newest differential pressure transducer. 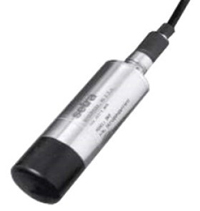 This is the first multi-range transducer designed for stringent requirements of difficult applications. The MRC offers class leading ±0.5% FS accuracy in selectable ranges down to 0.1″ W.C., which is required for critical applications. 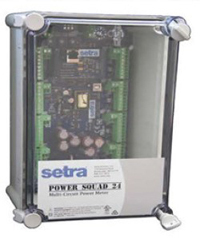 Setra’s MRC comes with 3 different housing configurations; duct probe, DIN rail mount and a universal model to cover any installation changes on the job site. 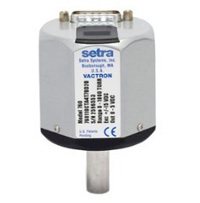 The Setra Model MRG is Setra’s newest differential pressure transducer. The Setra MRG is the ideal product for any contractor, combining the flexibility of a multi-range with the performance of a single range transducer. The MRG has 8 selectable ranges and 3 selectable outputs, easily adjustable on the job with a flip of a switch or jumper. 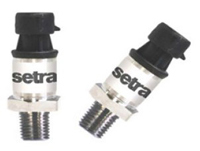 Setra’s stainless steel capacitive sensor design provides excellent stability and linearity, while standing the above the competitors in our ability to measure low pressure (less than 0.0001″W.C.). 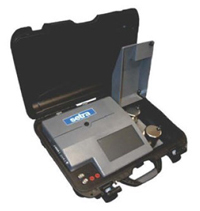 The Datum 2000 Dual Channel Meter can be configured externally with one or two pressure transducers or transmitters. The Datum 2000 Manometer is a fully self-contained unit with factory installed pressure transducer of transmitter. Monitor user defined parameters with easy to read 1″ LCD digits in blue, green or red. Available as a single or dual LCD model, with a white or silver finished bezel. The SRMD is sensor agnostic and can be used with any analog 0-5 or 0-10 VDC output, making it the perfect solution for retrofit construction where sensors are already installed. In critical environments, proper room pressurization is essential to guarantee that the space is safe and/or sterile, depending on application requirements. The SRIM1 offers local audible and visual alarms to alert personnel when the pressure differential is compromised. 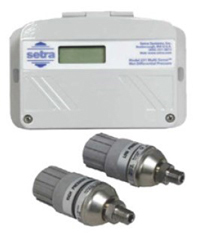 The SRIM2 is Setra’s highest performance non-BACnet product measuring low differential pressure in critical applications. The SRIM2, built on the foundation of the SRIMl, is an ideal solution for anyone who requires cost-effective local monitoring and alarming of multiple parameters. Model ASL is a high performance pressure transducer designed for low differential pressure measurements of air or other clean gases. The Model ASL features exceptional linearity and thermal compensation and the sensor’s rugged construction enable high overpressure capability and stability. 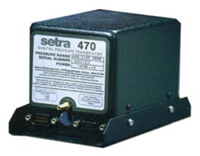 Setra’s Model ASM is a high performance pressure transducer used in the accurate measurement of pressures on engine test stands, dynamometers, particle test & analysis, and research & development applications. Pressure ranges as low as 15 psi up to 1000 psi are standard, with an optional proof pressure up to 10X. The CSC split core current switch design is ideal for existing installations as it can easily be clamped onto existing power cable or wires. The CSS solid core current switch’s convenient wide opening allows easy pass through of the conductor, making it ideal for new installations. These units are solid state switches and have accurate, very low fixed or user adjustable setpoints. 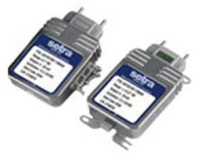 The CTC Series current transducers are ideal for monitoring current in PLCs (Power Line Carrier Communication) and AMR systems or in remote control systems of SCADA software for automation and supervision, security, condition monitoring in protection systems and for the predictive maintenance of conveyers, pumps or HVAC motors. 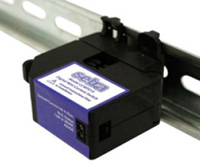 The Model CCM is the smallest split core current switch in the industry; designed to be used on light-to-medium loads to detect changes in operating current .The Mini Current Switch is easily clamped onto new or existing power cables or wires, making it ideal for new construction and retrofit projects. The Power Squad 24 is a versatile, multi-channel (CT) instrument. The modular design allows it to be configured for monitoring multiple electrical circuits or for current-only monitoring of branch circuits. The Power Squad 24’s flexibility, and ease-of-use make it the ideal solution for commercial, industrial, government and retail applications. Sub-optimal humidity levels can lead to mold growth, Energy inefficiency, and respiratory problems. It is essential that humidity levels are monitored and remain within the optimal range. 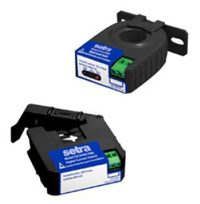 Setra’s humidity product line offers an easy to install, no hassle maintenance capacitive sensor design that provides building owners & managers with peace of mind. The Sure-Set is an adjustable split core current switch with 9 pre-configured set-points rated to horsepower (hp). This innovative design increases efficiency & saves valuable time. Installation is completed on a cold circuit, eliminating the need for the installer to work in a live enclosure, thereby eliminating the risk of an arc flash incident. The Model 141 is a highly accurate accelerometer that can maintain a stable output even under the most extreme vibration and temperature conditions. Along with its ability to withstand extreme vibration without damage, the Model 141 can sense accelerations ranging from static acceleration up to 3000Hz. 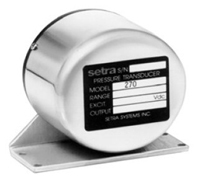 Setra’s Model 201 is an accurate, low cost, pressure transducer for measuring very low differential or gauge pressures. It’s all-welded no o-ring construction results in a leak-free design, ideal for the most critical low range applications. The 201 process connection is designed to be used with pressure media compatible with stainless steel and 600 Series lnconel. 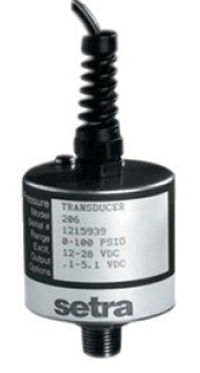 Low price and a high level output signal make this transducer an ideal fit for applications found in Industrial, Laboratory, and Aerospace applications. Available in gage or absolute pressure ranges from 25 psi to 5000 psi. The Model 209 Industrial OEM Pressure Transducer is designed to meet the performance requirements of a variety of refrigeration applications. The stainless steel Valox housing provides a rugged, lightweight package. A variety of pressure ranges are available from 1 to 10,000 psig in gauge, sealed gauge, and vacuum pressures. Designed for modular “Block” gas sticks and panels, the Model 217 is a downmount (“C” Seal) pressure transducer with a small swept sensor chamber for easy purgeability. All wetted parts are VAR316L SS electropolished to 7Ra (10 max.) finish. Available in gauge, absolute or compound ranges from 25 psig to 3000 psig. Also available in BAR ranges. The Model 223’s one inch diameter and flow through design make it an ideal fit for most ultra-high purity applications. This pressure transducer is available with a variety of pressure fittings including tube stub and Swivel Face Seals, and choice of 4 pin Bayonet connector or 6ft. Multiconductor Cable for electrical termination. The Model 224 flow-through pressure transducer is available with a variety of pressure fittings including tube stub and Swivel Face Seals, and choice of 4 pin Bayonet connector, 9 pin or 15 pin D-sub connectors, or 6ft. Multiconductor Cable for electrical termination. Single-Ended Low Cavity Volume Pressure Transducer, Superior stability, sturdy design, low cavity volume and low price, make this pressure transducer a wise choice for high purity applications. Available with choice of 5 VDC, 10 VDC, or 4 to 20mA output. 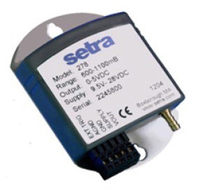 Setra’s Model 227 transducer is designed for high density, modular block gas sticks and panels required for today’s 300mm tools. The Model 227’s 1-1/8″ footprint optimizes valuable space, and its rugged design makes it ideal for pressure measurements that require long-term stability, high accuracy and exceptional insensitivity to environmental extremes. The Model 230 is a high output low differential pressure transducer designed for wet-to-wet measurements of liquids or gases. A fast-response capacitance sensor and signal conditioned electronic circuitry provide a highly accurate, linear analog output proportional to pressure. If the 230 is ordered with a manifold, the system is shipped completely assembled and leak tested. 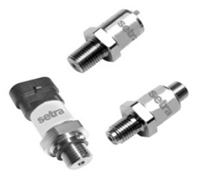 Setra’s Model 231 Multi-Sense Wet-to-Wet differential pressure transducer all-inclusive design provides users with field accessible ranging, choice of output and field zeroing. The Model 231 jumper selectable port swap feature eliminates costly replumbing if the pressure transducer is improperly installed or replaced. The Model 231 RS with remote sensors reduces labor, materials, and time. The sensors are installed directly into the pipe and electrical connection is made between the remote sensors and the Model 231 RS via cables or conduit, reducing labor cost by one-third and the cost of copper to connect the pressure transducer to the pipe. Startup time is reduced since purging air out of the lines is not necessary. Designed to measure low pressure, the Model 239 high accuracy pressure transducer is available in unidirectional and bidirectional ranges as low as +1- 0.25 in. W.C. 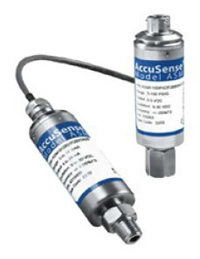 These transducers are ideally suited to a variety of applications such as HVAC control, Medical Instrumentation, Energy Management, Leak Detection, Clean Rooms, and Environmental Testing. The Model 256 is packaged in an die-cast aluminum enclosure that is specifically designed for NEMA4/IP65 service. 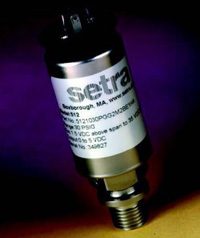 Setra’s robust capacitive design is resistant to environmental effects, such as shock, vibration, temperature and EMI/RFI. 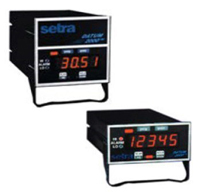 Available in a wide variety of gauge pressure ranges, the Model 256 is only 3.7″ high x 3.5″ wide and operates on a low cost unregulated power supply. 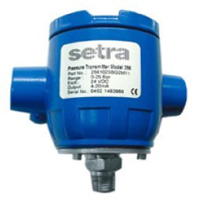 Setra’s Model 264 versatile low differential pressure transducer is widely used in the accurate measurement of pressures and flows for proper building pressurization and air flow control. The Model 264 is the “standard” in the industry for reliability & performance and comes with a 3-year unconditional warranty. 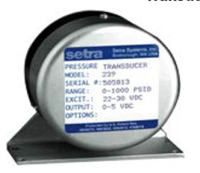 Setra’s Model 265 versatile low differential pressure transducer is widely used in the accurate measurement of pressures and flows for proper building pressurization and air flow control. The 265 is offered with a high level 0-5 VDC output or a 4-20 mA output, or with 0-5 or 0-10 VDC output in the 24 VAC excitation version. An optional snap-on conduit enclosure, molded from high impact Lexan, is available. 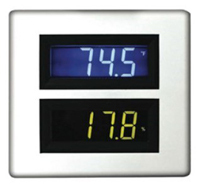 The Model 267 is a single range unit with an optional LCD display. The Model 267 has an IP65/NEMA 4 rated package to withstand environmental effects. 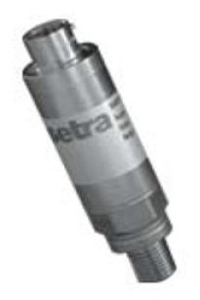 The 267 is available with an optional integral static pressure probe. Installation is quick and easy by mounting this version directly onto the duct. The Model 267MR Multi-Range pressure transducer has 6 field selectable pressure ranges (bi-directional and unidirectional) in each unit. These units sense gauge and differential pressure and are offered with a field selectable high level 5 VDC or 10 VDC output as well as a 4-20 mA output. 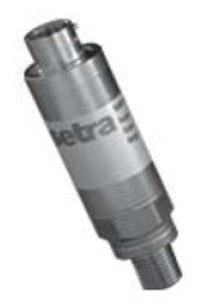 The 267MR Series is available with an optional integral static pressure probe. Ranges as low as 0.1 W.C. The Model 269 is designed for medical and pharmaceutical applications where performance is most critical. 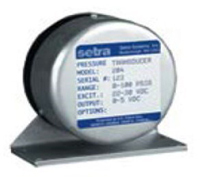 The Model 269 very low differential pressure transducer is offered in a din rail or base mount versions and features easy to access pressure ports and electrical connections. The Model 269 low differential pressure transducer can be configured with an optional visual display for local viewing, and 2:1 range turndown. 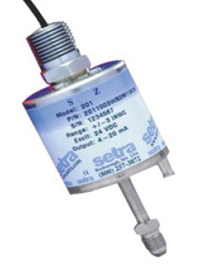 The field-proven Setra Model 270 pressure transducer has unmatched long term reliability and stability in a variety of Barometric and Industrial applications. The thermally stable glass fused ceramic sensing capsule is coupled with the sophisticated capacitance charge-balance IC circuit for accurate signal conditioning and environmental compensation. 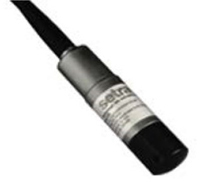 Setra’s Model 278 Barometric pressure transducer is designed for use in environmental applications that require excellent accuracy, fast dynamic response, and long-term stability. To withstand the environmental extremes typically found in Automated Weather Station (AWS) and environmental monitoring applications, the Model 278 housing is constructed of stainless steel and polyester. 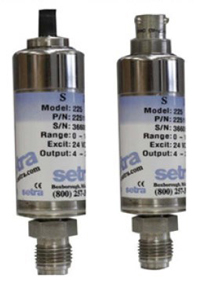 Setra’s Model 280 pressure transducer is intended for low to high pressure measurements of gases or liquids in applications requiring rugged packaging, high performance and afford ability. The 17-4 PH stainless steel capacitance sensing element coupled with an IC-based circuit, assures excellent accuracy and long term stability. The Model 290 pressure transmitter is intended for low to high pressure measurements of gases or liquids in sanitary applications. The 290 design meets 3A sanitary design standards to withstand external high pressure washdown. As a totally self-contained electronic package, the 290’s capacitance sensing element, coupled with a signal conditioned IC-based circuit, assures excellent accuracy and long term stability. Setra’s Model 370 offers extremely high accuracy and unmatched stability in a digital output configuration. 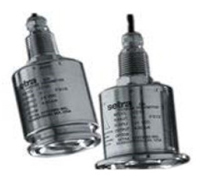 Environmental monitoring and test & measurement systems around the world rely on Setra’s experience in Barometric pressure measurement instrumentation, as well as high accuracy measurements of higher pressures. 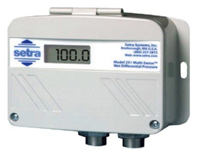 The 370 utilizes Setra’s SETRACERAM™ sensor, which is combined with advanced microprocessor based circuitry and sophisticated firmware. 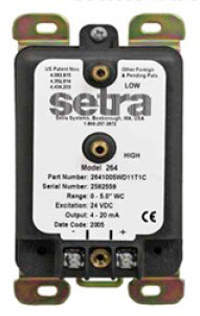 Setra’s Model 470 is designed for applications which do not require local display or pressure keypad access to commands. The 470’s solid stability, reliability and versatility make it the first choice for weather observation systems worldwide. The 470 utilizes the SETRACERAM sensor, which is combined with advanced microprocessor based circuitry and sophisticated firmware. 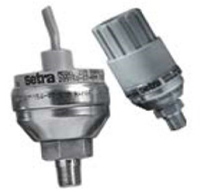 Setra’s Model 512 OEM pressure transducer is designed to withstand pressure spikes, shock, and vibration caused by harsh physical and environmental conditions of industrial applications. The Model 512’s CVD strain gauge design is resistant to aging and virtually insensitive to thermal exposure and pressure cycling. All wetted parts are constructed of corrosion-resistant 17-4 PH stainless steel, making the 512 ideal for use with corrosive media. 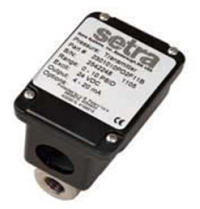 Setra’s Model 516 OEM pressure transducer is designed for demanding Industrial applications that are subjected to pressure spikes, shock, and vibration caused by harsh physical and environmental conditions of industrial applications. The Model 516’s CVD strain gauge design is resistant to aging and virtually insensitive to thermal exposure and pressure cycling. All wetted parts are constructed of corrosion-resistant 17-4 PH stainless steel. Setra’s Model 522 pressure transducer is designed for OEM Industrial applications that require exceptional stability and high accuracy. The Model 522’s CVD strain gauge design is resistant to aging and virtually insensitive to thermal exposure and pressure cycling. All wetted parts are constructed of corrosion-resistant 17-4 PH stainless steel, which makes this unit ideal for use with corrosive media. 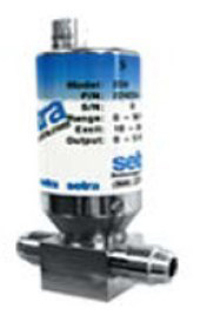 Setra’s Model 526 pressure transducer is designed with a thicker diaphragm for robust Industrial and submersible applications that require exceptional stability and high accuracy. The Model 526’s CVD strain gauge design is resistant to aging and virtually insensitive to thermal transients and pressure cycling. The 526 is fully protected from water intrusion due to its custom hermetic header triple seal. 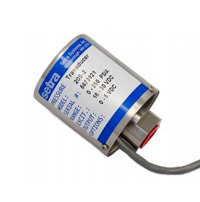 Setra’s Model 528 is a high performance pressure transducer that is designed for robust Industrial and submersible applications that require high performance in extreme environments. The Model 528’s CVD strain gauge design is resistant to aging and virtually insensitive to thermal transients and pressure cycling. All wetted parts are constructed of corrosion-resistant 17-4 PH stainless steel, which makes the 528 idea for use with corrosive media. 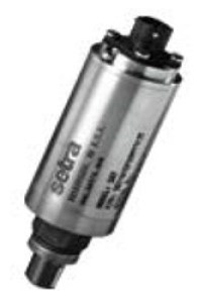 Setra’s Model 540 pressure transducer is designed for harsh applications that require long-term service and high performance. The 540 features 17-4 PH stainless steel wetted parts for pressure ranges up to 6000 psi. Requiring virtually no maintenance, the stability of the 540 assures the user of high reliability. wetted parts for pressure ranges up to 6000 psi. Requiring virtually no maintenance, the stability of the 542 assures the user of high reliability. 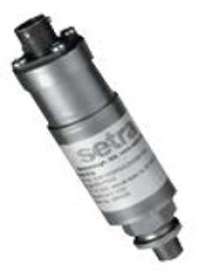 Setra’s Model 546 offers laboratory type pressure measurement in a rugged industrial housing. The 546 is designed for high overpressure applications. The 546 is also available in an optional seawater rated design or optional Galvanic intrinsically safe design. 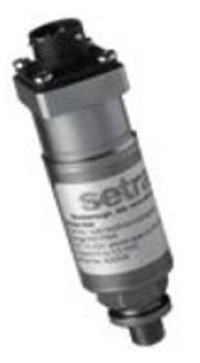 Setra’s Model 547 offers laboratory type pressure measurement in a rugged industrial housing. The 547 is designed for high overpressure applications. The 547 is also available in an optional seawater rated design or optional Galvanic intrinsically safe design. 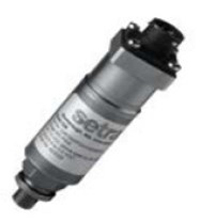 Setra’s Model 550 measures low pressures from 10 in. W.C. up to 400 in. W.C. It is packaged in a 318 stainless steel housing for use in general purpose and submersible applications such as water, waste water and viscous fluids. This unit is RFI/Lightning protected and is also offered in an optional Galvanic Intrinsic safe design. 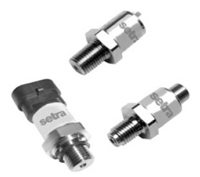 Setra’s Model 567 features a CVD strain gauge sensor, which is resistant to aging and virtually insensitive to thermal transients and pressure cycling. The 5:1 range turndown is easily accessed via a switch and potentiometer. The 567 is also available in an optional Zener® intrinsically safe or Galvanic® intrinsically safe design. 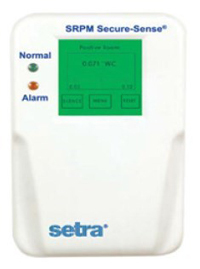 Setra’s Model 595 features digital thermal compensation and built-in specific gravity compensation, which provides a true level reading that is accurate to within 0.05% of full scale. In addition, the 595 unit features a custom designed hermetic header and a sensor housing that is resistant to the effects of water assuring the user of long-term reliability and service. Setra’s low cost, compact Model 730 is designed for semiconductor, petrochemical, pharmaceutical, process and industrial vacuum markets. The 730’s high frequency electronics design is fully RoHS compliant and yields extremely low noise while maintaining the fast response time required for today’s critical control applications. External noise rejection, fast warm-up, and quick return to zero features are unmatched in the industry. 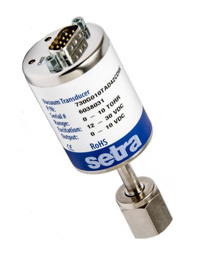 Setra’s Model 760 capacitance manometer is an absolute pressure transducer designed for accurate and repeatable vacuum measurements. Superior EMI/RFI performance is achieved by the use of a metal case, in conjunction with surge and ESD suppression components and RFI filtering on the inputs and outputs. The Model 760 has an integrated sliding cover that provides easy access to multi-turn potentiometers for fine zero and span adjustments. 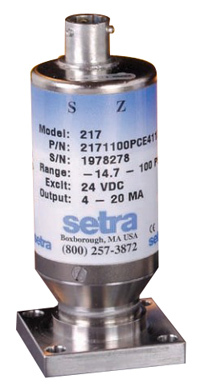 Setra’s Model 761 capacitance manometer is a temperature compensated, vacuum manometer designed for accurate and repeatable vacuum measurements. The 761’s high frequency electronics design yields extremely low noise while maintaining the fast response time required for to day’s critical control applications. External noise rejection, fast warm-up, resistance to environmental effects and quick return to zero are unmatched by competing models costing twice as much. 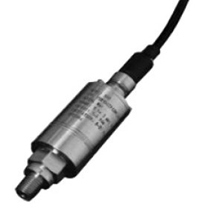 The 3100 series high pressure OEM transducers feature a sputtered thin-film sensor to provide high levels of performance stability for large volume OEM installations. A wide choice of outputs as well as electrical and pressure connections means that the unit is suitable for most applications without modification. The compact construction of the 3100 series makes it ideal for installations where space is at a premium. 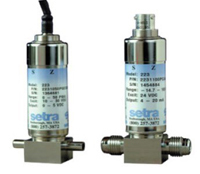 The 3200 series high pressure OEM transducers feature a sputtered thin-film sensor to provide high levels of performance stability for large volume OEM installations. A wide choke of outputs as well as electrical and pressure connections means that the unit is suitable for most applications without modification. The compact construction oft he 3200 series makes it ideal for installations where space is at a premium. For applications in hazardous areas that need intrinsically safe pressure sensors with consistent high levels of performance, reliability and stability. The 31CS/32CS Series sputtered thin film units offer an unbeatable price-to-performance ratio in a small package size. They feature all stainless wetted parts, a broad selection of electrical and pressure connections, and a wide choice of electrical outputs ready for installation. For OEMs that need consistent high levels of performance, reliability and stability the 3550 series units offer a small package size with all 316L Stainless Steel wetted parts at an unbeatable price performance ratio. A wide choice of electrical outputs as well as both electrical and pressure connections means the unit is suitable for most applications without modifications. The compact construction of the 3550 series makes it idea for installations where space is at a premium. The MicroCal pressure calibrator is used as a stand-alone calibration standard for differential and gauge pressure devices found in critical environments. The MicroCal controls pressure down to 0.0002″WC by utilizing NASA patented pressure generating technology paired with a Setra designed control algorithm. The unit’s industry best pressure control technology combined with modular pressure references ensure the highest accuracy portable pressure calibrator.